Poway Rally Message: Our Civil Rights "Shall Not Be Infringed"
In February 2009, Doo Doo Economics began with a message of concern about the future of our country. We issued what we believed to be simple economic message, that "raising taxes during a recession is doo doo economics." For a growing number of Americans, concern for the future of our country is becoming dismay about the present. On Saturday February 23, 2013, our message of concern joined a larger message of resistance at the "Shall Not Be Infringed" rally in Poway, California. POWAY — Several hundred people, mostly men, mostly older and almost universally conservative, descended on Old Poway Park Saturday afternoon to take part in a “Pro-Second Amendment” rally. This statement is incorrect because there were many young, able-bodied military and ex-military at the rally. As I traveled the crowd, handing out invitations to visit The San Diego Local Order of Bloggers, I spoke with maybe a hundred people. Around 40% of the crowd consisted of young able bodied patriots. One of which informed me that he "had our back" and many more who echoed the sentiment of the rally. The UT San Diego and other news organizations attended the beginning of the rally, but must not have stayed to the end. When we first arrived, along side a group of former Republican volunteer organizers and ex-officials, I was met with the statement "it is good to see younger people here." As the rally progressed, it became clear that the "mostly older" crowd was giving way to a younger, brasher, group of 2nd Amendment supporters. Local reporter Bridget Naso of KUSI searched the crowd for television interviews. Her trained eye, focused upon scheduled speakers and older, radically dressed attendees. Since I have had the pleasure of talking with this reporter in the past, I reintroduced myself. The last time we met was on a long trolley ride to Comic-Con. She mentioned with surprise that, "this is a very different setting" to see me. I am a tall, young looking, well spoken, "normal" American. It was clear that I was not who she had been trained to find. The report incorrectly describes the rally as the "Day of Resistance, Anti-Obama Gun Rally" and estimates the number of attendees at about a "hundred and fifty". My estimate of the crowd is three to four hundred. The opening video of the rally (:26) does show a younger crowd gathering in the center, behind the older seated attendees. Where the tea party was largely comprised of concerned mothers and children, this crowd included a larger percentage of young, physically fit, men. One young, 2nd Amendment supporting, community college teacher informed me, "they have no idea what they are messing with." To put the statement in context, he was voicing the fact that without the Second Amendment, the U.S. Constitution is void, and that will not be tolerated. The rally included the Citizen's Oath to the Constitution directed by Terri Linnell. The oath was based upon OathKeepers, but designed for citizens who have not served in the military or law enforcement. The crowd of patriots stood with hand on heart and recommitted to defense of the U.S. Constitution. A rousing, poetic rally cry was also mustered. Organizer Roger Cotton did an excellent job finding speakers. One blogger who spoke was Robert Morse of Slow Facts. Robert did a great job in an interview for the KUSI story linked above. His blog features photos of the rally. The take-way for the event is simple. The divisive and false rhetoric of the left is pushing more Americans into irreconcilable differences over our constitutional civil rights. As Roger Cotton put it, "They HATE us. We do not hate them." Many Californians are fed up and Saturday they reminded us, "Don't Tread on Me" is a warning not a slogan. A new ebook ($2.99) reviews the attacks in Benghazi. 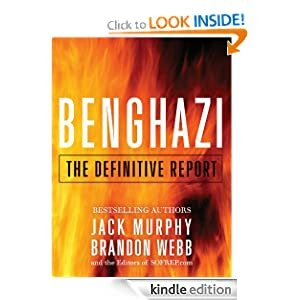 Benghazi: The Definitive Report is a timeline of events and detail about the heroic actions taken to save Ambassador Christopher Stevens, by Global Response and former Navy SEAL Ty Woods. For the next four months, Webb and his team at SOFREP.com, the world's premier Special Ops website, embarked on a relentless investigation to understand exactly what happened to their countrymen, as well as the roles played by the Obama administration, State Department, and CIA. Drawing on unmatched sources, they spoke to individuals who would talk to no one else, including fellow Special Operations team members familiar with the African theatre, and well-placed contacts in the Washington intelligence community. One key, as reported by Sean Hannity, the book premises on unreported incidents in which the U.S. initiated attacks. (As we reported in Killing Stevens: The Obama Scandal.) The Benghazi attack may have been a counter attack. Ambassador Stevens was a target within a larger conflict with obvious needs for security. Senator John McCain recently characterized the Obama Administration's reaction to Benghazi as a "Massive Coverup." Update: We should also mention the "What difference does it make" comment by Secretary of State Hilary Clinton. Christopher Dorner wrote America his manifesto labeled "Last Resort" but it is apparent that the meaning is lost on the news media. 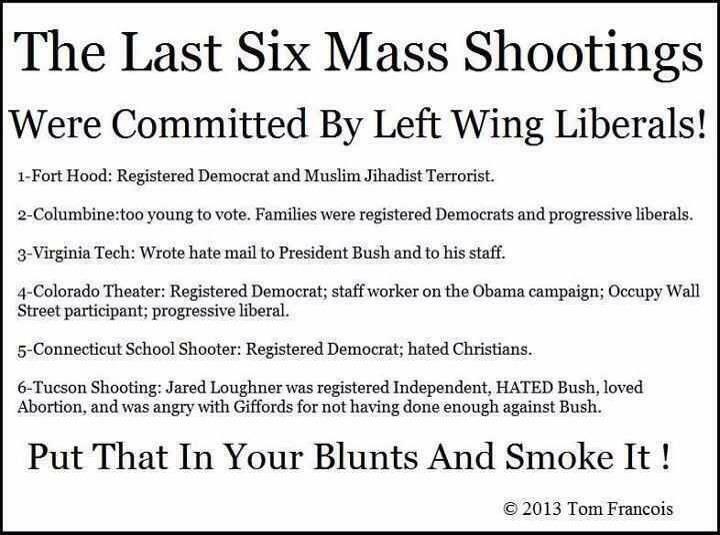 The following information is meant to help you understand what Dorner, another left wing killer, is trying to tell you. 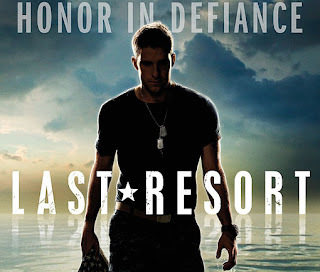 The short version is "Last Resort" is about corruption and ending it by all means necessary. The Huffington Post reported to its left wing audience that the show's co-creator knew the series would be cancelled on November 16th, 2012. The finale aired on January 24th, 2013 with nuclear submarine, The Colorado, being destroyed after the captain unveils the government corruption to the media. The final episode is rushed due to the quick cancellation. Dorner is approaching the LAPD with this same honor in defiance. He states that the LAPD turned on its own when it fired him for reporting police brutality as a police officer. 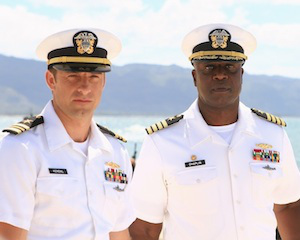 At the beginning of the series, Andre Braugher's character, Captain Marcus Chaplin, launches a nuclear missile at Washington, D.C. to force the U.S. military to stand down. The missile is actually aimed to fly over Washington, D.C., but proves his resolve. 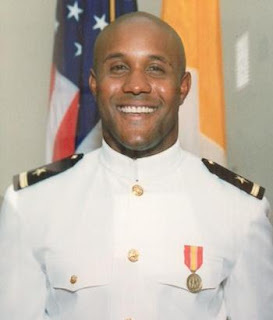 Dorner also claims to have a .50 caliber rifle, which fires bullets five inches long -- capable of piercing bullet-proof vests, cutting through cars and some armored vehicles. The resolve to defy corruption is the cornerstone of ABC's Last Resort. 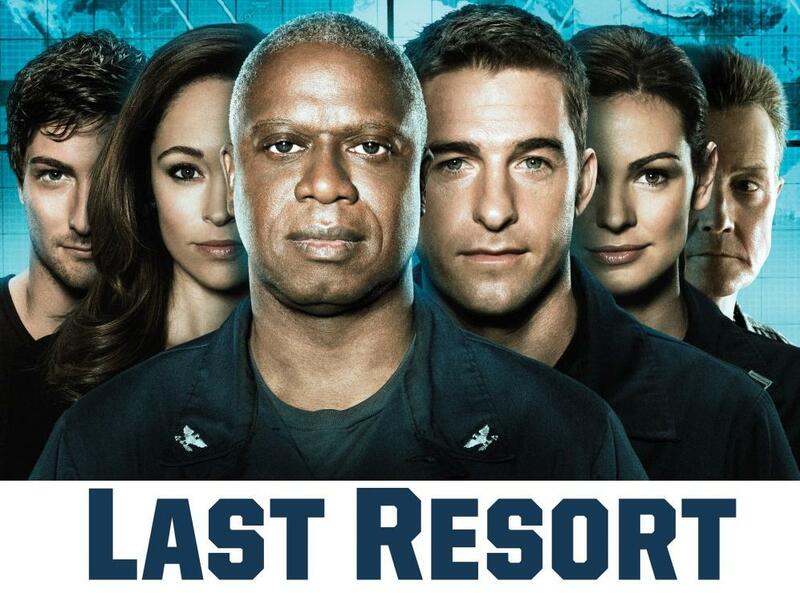 Understanding this television series, which is dramatic and enjoyable, reveals the mindset behind Christopher Dorner's manifesto by the same name. The series can be viewed online in its entirety at http://abc.go.com/watch/last-resort/SH55199666. The tree of liberty must be refreshed from time to time with the blood of patriots and tyrants-TJ. This quote is not directed toward the US government which I fully support 100%. This is toward the LAPD who can not monitor itself. The series continues with a Coup d'état of the U.S. government by patriots opposed to the corrupt government. 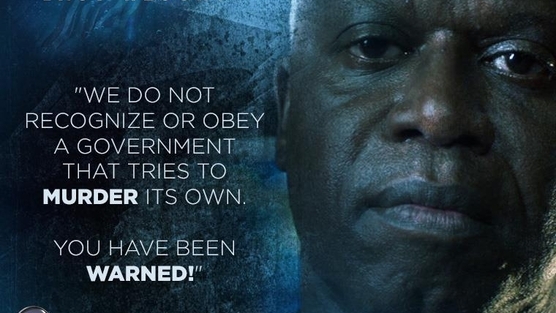 View the series for the outcome of the coup, but as you might imagine, people die. The final scene of the series begs the question of the audience, "What is the last resort of patriots confronted by corruption and tyrants?" Click here to watch the final episode. Christopher Dorner identifies with this series. His manifesto appeals to liberal fairness and conservative justice. It also appeals to traditional Americans who believe in honor and duty. 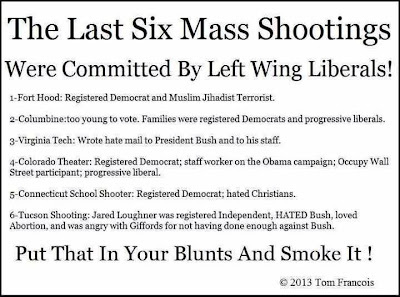 There is more here than just a crazed killer. The media reports only the killing and death without regard to the ideas and motivations. However, action to challenge entrenched corruption is action against those in power. If individuals feel the need to take on the battle against corruption, like the San Diego Local Order of Bloggers, it is because the media is no longer fulfilling its constitutionally protected duty to challenge corrupting power. A person who decides to fight corruption uses the weapons he is trained in. Reporters are trained in the use of the pen, but no longer raise that pen in the defense of traditional America. Journalists and their educators have allowed bias to overrule duty. This is the result. If you are charged with bringing this situation to an end, appeal to honor, oppose corruption and this situation can be resolved. Americans must know that the star spangled banner yet waves. It cannot wave over a land of the corrupt and cowardly. 10 P.M. 2/9/2013 via NPR: The LAPD will be reviewing the firing of Dorner. This may allow Dorner to surrender to authorities. Well done.